Mildred Mae Green Kilhoffer, 94, daughter of Samuel and Leona Crosier Green, of Lakewood, Illinois, formerly of Buffalo, a lover of music, the arts, and nature, passed away on July 27, 2018 surrounded by family and dear friends. She leaves a legacy of thirteen children, thirty-three grandchildren, forty-one great-grandchildren, and six great-great-grandchildren. Mildred was born on March 30, 1924 in Logan County, Illinois. Her birthday is shared with two of her great-grandchildren, Taylor Wooldridge and Colten Haller. Mildred and John "Jack” Anthony Kilhoffer eloped and were married in St. Charles, Missouri on August 15, 1942. In order to make the trip Jack had to replace the worn tires on the car with good truck tires. That was not permitted during WWII because while farmers could get new truck tires, car tires were rationed. Also, because of Jack’s draft status he was not supposed to leave the state. They eloped to Missouri anyway and were married for fifty-eight years. After they returned to Illinois they spent the first forty years of their marriage on a farm near Lanesville before retiring to the Lakewood area. Mildred’s husband, Jack, preceded her in death as did a granddaughter, Jamie Faye Kilhoffer, and a great-grandson, Aiden Marley. She was also preceded in death by four siblings: Wilma Scott, Doris Laatch, Maureen Wilham, and Gayland Green. Mildred is survived by her thirteen children: Constance Hageman (Douglas) of Fargo, ND; John Kilhoffer of Bloomington; Michael P. Kilhoffer of Lakewood; Maureen Tiedje of Huntley; Dan Kilhoffer (Barb) of Chatham; Randy Kilhoffer (Stacy) of Pahoa, HI; Chuck Kilhoffer (Kathy) of Buffalo; Andy Kilhoffer (Linda) of Milstadt; Jeanne Camfield of Illiopolis; Debra Bernish (Christopher) of Lake Forest; Terry Kilhoffer (Maureen) of Crystal Lake; Patrick Kilhoffer (Victoria) of Danvers; and Kelly Kilhoffer (Lynn) of Heyworth. She is also survived by her sisters Marilyn Janusweski and Wanda Etherton of Springfield. After her youngest child started school, Mildred decided to go to college. She attended Sangamon State University (now known as University of Illinois Springfield) in Springfield where she received her Bachelor of Arts: Environments and People in June of 1972. She was a member of the first graduating class of Sangamon State University and went on to earn her master’s degree at the same college in December of 1973. 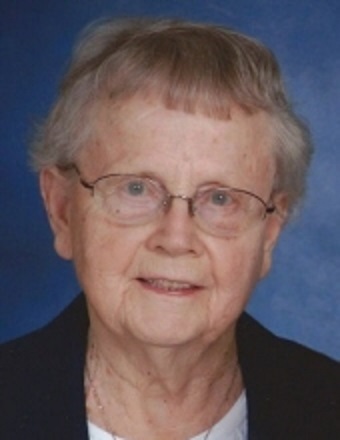 After college Mildred taught at St. Patrick Catholic School in Springfield and at Sacred Heart School in Pana, and later worked for Shelby County. She wrote four books on genealogy and history, three of which were about the Salt Creek area near Watson, Illinois where her mother, Leona, grew up. As a child Mildred loved to visit her relatives in that area. She was also a 4-H leader for fourteen years, and at one time had her living room full of sewing machines teaching girls how to sew. Mildred was a talented artist, and she enjoyed drawing, painting, ceramics, and photography. Mildred and Jack believed strongly in education and were proud that all of their children attended college. They were also proud that seven of their children served in the military. Mildred recently stated she was most proud of her children, that she wrote four books, and that she went paragliding off the side of a mountain high above Interlaken, Switzerland at the age of seventy-two. In her later years, Mildred especially loved listening to the country music created by her talented southern Illinois friends. Special thanks to Michael P. Kilhoffer who lived with Mildred for over six years and made sure she enjoyed life, including taking her to hundreds of musical events. Wayne Steele was an incredibly caring neighbor who deserves high praise for the many times he helped Mildred through the years. Honorary sainthood is granted to Jeanne Camfield for all her tireless help with her mother. Finally, a heartfelt "thank you” to Trish Adkins who was Mildred’s helper for fourteen years and whom Mildred adored. Visitation and Funeral Mass: Family will receive friends from 9:00 AM to 11:00 AM on Saturday, August 4th at the Resurrection Church in Illiopolis. A funeral Mass will follow at 11:00 AM with Fr. Robert Porter, celebrant. Burial will be at the Calvary Cemetery in rural Illiopolis. A luncheon will be served in the church hall. In lieu of flowers, memorial donations may be made to the Resurrection Catholic Church in Illiopolis or the Immaculate Conception Catholic church in Shelbyville.